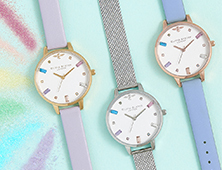 Created by our in-house designers using watercolour techniques, this mesh-strap timepiece is a little work of art. 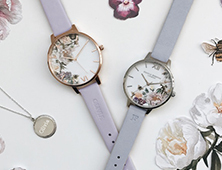 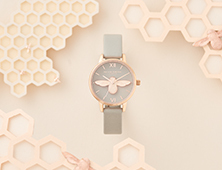 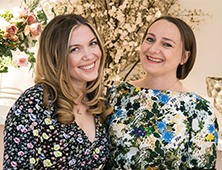 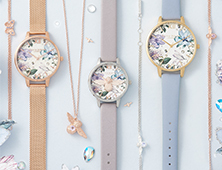 Its 30mm-wide dial blends soft brushstrokes and pretty pastel hues to create a floral design. 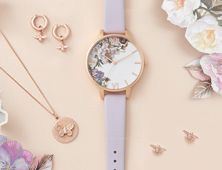 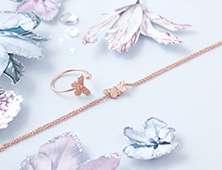 The piece is presented in a silver-plated case and contrasted with rose gold markers - a perfect way to wear the mixed metal trend.